Kids can use arts and crafts as a therapy tool. 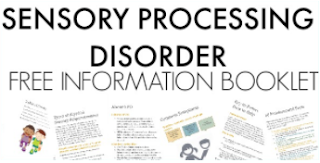 From the relaxation and calming sensations that crafts inspire to the fine motor skills and therapeutic motor movements that cutting, building, and creating provide, crafts have long been a therapy tool for every diagnosis. 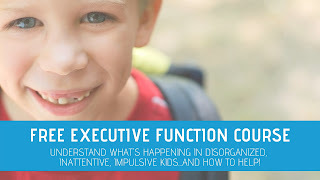 Using what you've got in the house or therapy clinic is one of the best ways to encourage creativity. When you've got the materials on hand, creating is as easy as pulling out the glue. Today, I'm sharing a collection of creative and fun crafts that use felt scraps. 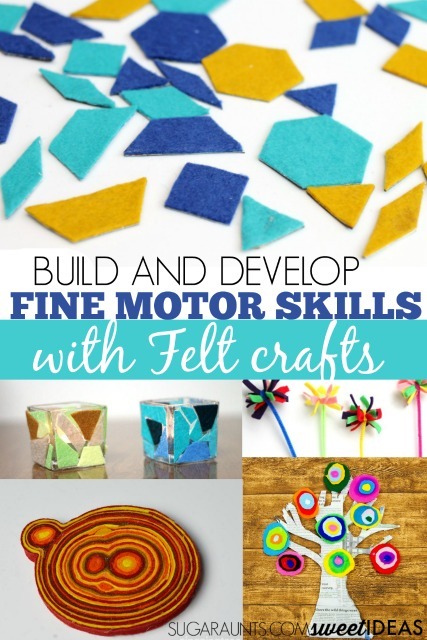 Try these activities as a therapeutic craft to boost fine motor skills, visual motor integration, problem solving, imagination, upper body range of motion, posture, endurance, participation, and social emotional skills. Felt Mosaic Votive Holders from Mom and Crafters are a great way to encourage scissor skills and eye-hand coordination. Rainbow Cork Penguin Ornaments from Red Ted Art can boost fine motor skills including pincer grasp and bilateral coordination. Nature Owls from Messy Little Monster encourage scissor skills, bilateral coordination, pincer grasp, and eye-hand coordination. Felt Owls from Hattifant may provide neat pincer grasp, bilateral coordination, pinch and grip strength, and eye-hand coordination. Kandinsky Inspired Felt Trees from Mum in the Mad House provide an opportunity for developing scissor skills, bilateral coordination, and visual perceptual skills. Felt Coasters from Zing Zing Tree encourage a development of bilateral coordination, eye-hand coordination, pinch and grip strength, and in-hand manipulation. DIY Pattern Blocks use felt to create tangrams. 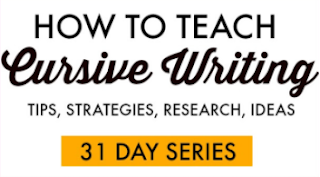 Use them to boost visual perceptual skills. 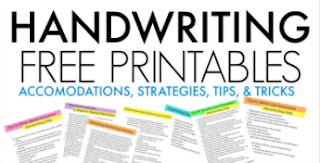 Pair these with our Visual Perception and Tangrams workbook to help with handwriting skills. A DIY Woodland Play Mat from Adventure in a Box builds imagination and pretend play, encouraged language and self-confidence and can help with social emotional skills. Felt Scraps Fairy Wands provide a fine motor activity while encouraging range of motion, pinch strength, and eye-hand coordination. 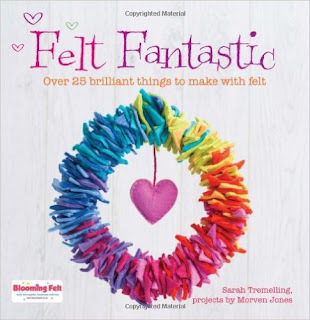 Felt Fantastic book shares 25 felt crafts that are perfect for building fine motor skills in every age range. 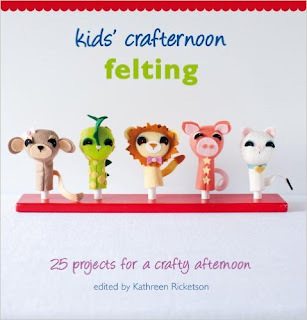 Kids Crafternoon Felting Projects is perfect for boosting problem solving skills through arts and crafts with a fine motor component. 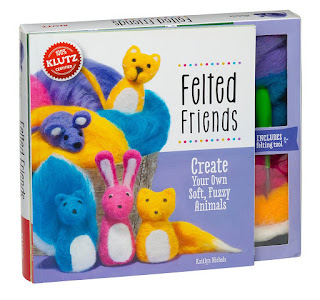 Felted Friends are great for developing eye hand coordination and bilateral coordination. 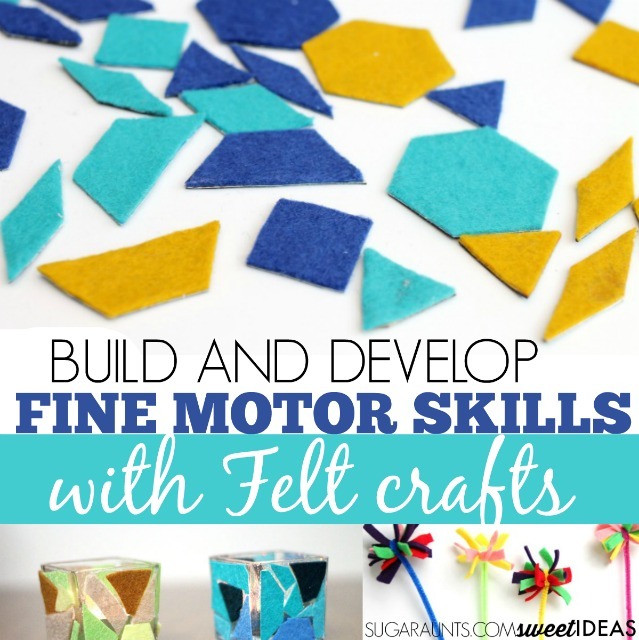 How would you use felt scraps to build fine motor skills in your therapy clinic or home activities?